In this post I'll write a little about the most beautiful/amazing/any-other-description-you-want lakes I've been to. Making up this list wasn't easy! Here's the map. 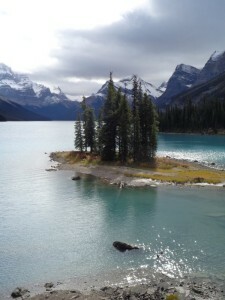 One of the most famous lakes in the Canadian Rockies, this lake mesmerized me! There was one day when I visited the lake 3 different times!! The amazing turquoise color, the way it changes its colors depending on the sunlight, to see its surroundings covered in snow, to watch it from every direction just to find out that it has another part which is barely seen from the basic lookout… Want to read more? Lake Louise’s contestant on the “most beautiful lake” in the Rockies. This one has a special setting. It lies between 10 mountain peaks the color here is magnificent, but again its not only the lake itself. Take any of the hikes around it to get different angles on it. Want to read more? A great lake in Grand Teton NP. I took the hike to surround it and saw some wildlife! It was the beginning of the season so I was virtually alone in the wild. The setting, with the mountains around it, is something that’s hard to beat! Want to read more? This lake is located in San Miguel, the Azores, inside an old volcano crater. 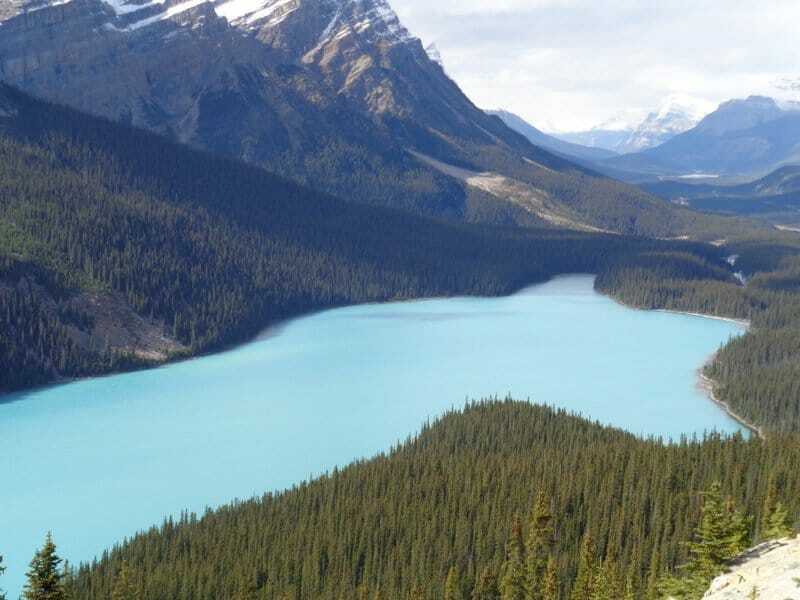 Its made up of “two” lakes – a green and a blue one where a bridge “separates” them. On a good day you can actually see the color difference, which is caused by the depth difference between the 2 areas in the lake. Taking the “vista do rei” hike, you actually walk between the lake and the ocean! Want to read more? This is undoubtedly the craziest lake i’ve seen, just look at its shape!! and together with its beautiful color, what you get is priceless. It’s only a short walk from the parking lot so unlike the other lakes here in the list it doesn’t involve some sort of hiking but still! Want to read more? As I mentioned before, deciding on the top 5 lakes was not an easy task and there were a few I had leave out but are still worth mentioning. At the end of "The road to the sun" the only road in that park. A lake in Huaraz, north Peru. The lake can be visited as a day hike, usually done when people get to the area in order to get used to the altitude. That's not an easy day hike !Be ware. I wasn't so lucky with this lake but after "chasing" it for a few days I did get to see it. In good weather conditions it's truly amazing ! I guess this is one of the places where the enthusiasm is all about timing. It's not a 'special' lake but was the first one I saw when I visited Scotland so… Its located just a short walk from a small town and when you walk in the woods there you don't hear anything so it's like a 'getaway'. Another one from the Rockies, beautiful color and another interesting thing is the vegetation around it, each side has quite different flora! Can be walked in 1 hour or so. In the area of south Argentina/Chile, where you cross the border multiple times with ferries and stuff. I dont know if each lake has a name but the whole area was just crazy! Going from one lake to the other with amazing blue waters and trees all around ’em. 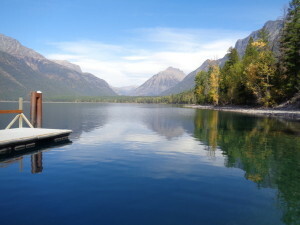 A beautiful lake that has an 'edge' in the shape of Spirit island.